Insight News Desk: The Aam Aadmi Party (AAP) in Odisha has raised the heat to target Bhubaneswar Municipal Corporation (BMC) Mayor Ananta Narayan Jena, accusing him of being involved in large scale corruption. 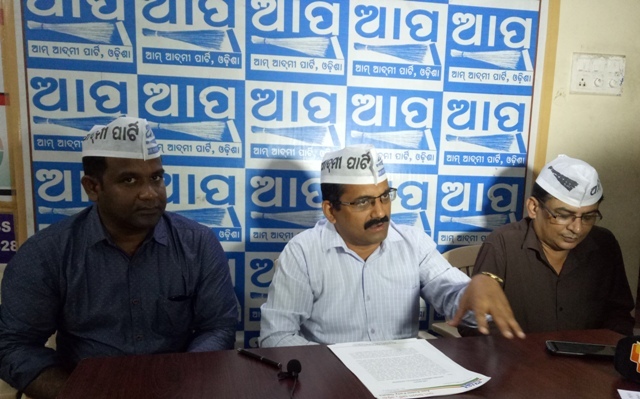 The AAP held a press meet in Bhubaneswar yesterday to question why Mr. Jena is being shielded by the CM despite several allegations against him over the last few months. The party raised questions over the poor drainage system and faulty sewerage infrastructure in Bhubaneswar. AAP leaders further alleged that SRB Associates, the auditor of BMC, has exposed the loopholes and irregularities in the BMC in its annual report, which is yet to be made public. The party urged the CM to take note of the audit report and sack the Mayor failing which a wrong message would go to public that financial irregularities have become a culture in the current BJD regime. AAP Odisha Convener Nishikant Mohapatra warned of a massive movement if strong action is not taken against the BMC Mayor and other officials on the basis of audit report.